This is the story a client in the Quebec City area who decided to live in a seniors' residence. At the dawn of her 95 years, Adrienne Bédard chose to go back to the neighborhood where she lived a good part of her life. For a senior, moving is a major stress and anxiety factor. Preparation is a key factor that will help you cope with this major step. Good planning will allow you to calmly consider the sale of the family home and moving into a retirement home. Finding a retirement home that meets your current and future needs is not an easy task. Many families and seniors are postponing this decision for fear of making the wrong choice. You probably know that finding the right home for the elderly can be a long, tedious and exhausting process. The selection tools for residences are rather rudimentary and ultimately not always reliable. Are your parents getting older and you are wondering about their ability to take care of the family home on their own? Have you ever considered discussing with them the idea of moving into a seniors' residence or getting help at home? In residence, you will have no time to get bored. There are activities for all tastes. Whether it's sporting activities, bridge, bingo, culture, crafts, yoga or dancing; we’ll undoubtedly find you an activity that will please you. Remember that activities are also beneficial. They allow you to stay active physically and mentally. Making the lives of older people much easier and more enjoyable is probably easier than you think. There are strategies that are often both simple and quick to put in place. Finding and choosing the right home for the elderly is a decision that can be difficult. Being accompanied by a qualified, specialized person who is attentive to the needs of his/her clientele will help you make the right decision. 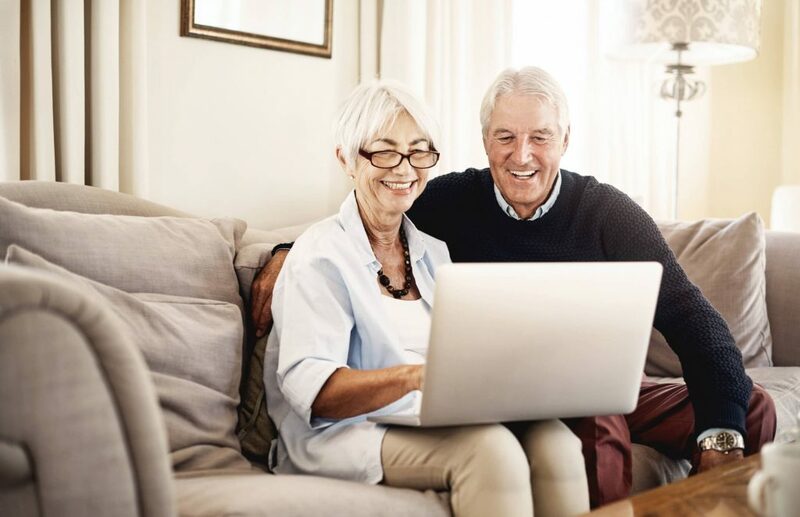 Searching for a retirement home or a senior housing facility is quite an important step in life because not all retirement residence offer the same quality of senior care and services for seniors. There is a wide range of retirement homes to choose from. A holiday gathering is a good opportunity to analyze the situation, involve the family in important discussions, and make worthwhile New Year's resolutions. If your senior loved one has the Holiday Blues, their condition might be cured by the warmth, companionship and fun that lies ahead in retirement home living. At Visavie, we understand the delicateness with which this process must be handled, and we’re here to help you get the conversation started. Carole, the oldest of four siblings, is caught between her obligations, life, job, as well as caring for her mother who is increasingly requiring more assistance. Living with dementia: At home or in a care residence? Paul has been suffering from Alzheimer’s disease. If his condition deteriorates, can he stay at home or it will be necessary to find him a care residence? After hundreds of years of dedicated service, Santa Claus finally decided to take a well-deserved retirement and move to a place where he could fully enjoy life, worry-free. Staying home or choosing a retirement home? From now on, whatever the services you are looking for to help your parents, it is all available at: helpingmyparents.ca. At this point, emotions can overwhelm you and are often combined with an agonizing dilemma between feelings of guilt and the demands of such a situation. Therefore, it is important to be properly accompanied, advised and guided. Yes, it’s true, our services are completely free! Here’s why and how we help you make the right decision in choosing the perfect retirement home. On June 15th, the team of Visavie In Ontario is proud to invite you to a Wine and Cheese Tasting fundraiser benefiting the Crisis Bed program for seniors. Terry clearly went above and beyond her job description throughout this process : after hours telephone and text messages from me, transportation of my Mom and lengthy phone calls with my Mom,.. I am a 56 year old woman looking after her elderly mother who is still living on her own but in loss of autonomy. Is placing my mother into a senior’s residence the best possible solution? Last month I enlisted the help of a VisaVie’s representative by the name of Heather Hyndman. We were experiencing difficulty trying to find a retirement home for my very particular mother. Last Christmas, all of Fernand’s children were gathered with him. They had the opportunity to understand that their father isn’t getting younger. Fatigued, Fernand seemed distracted all day long despite the presence of his grandchildren around him. There are currently about 2,000 residences for seniors in operation in Quebec. Each of these residences caters to various needs, preferences, with different types of services and budget. But which one should you choose? The holiday season is the perfect time to gather the whole family, help each other and maybe, open the discussion about your parents' situation. Did you know that, without help, the process of finding a retirement home could take you up to 137 hours! Collaborating with The Council on Aging of Ottawa, Visavie will be presenting "Navigating Ottawa's retirement Living Landscape" lunch and learn, Wednesday, December 2nd. Looking to reorient your career and make a difference in people's life? You'd love to be self employed with the administrative support of an organized company? Despite being 70-years-old, Dai Dali has managed to win praise for her talents in the bendy sport, which she took up after retiring. Working with a Visavie advisor means you remain free to choose the residence that suits YOU. In this video Francine delievers a testimony on sharing, kindness, hope and the power of a piece of chocolate. Could 1 glass of wine a day keep Alzheimer away? According to a study, to consume 1 glass of wine a day would be beneficial in the prevention of the Alzheimer's disease. Fred and I have signed our lease! Thank you Chantal! I am so happy to know about Visavie Trois-Rivières and especially happy to know you. Because of you, I have found the perfect home for Fred and I. Welcome to Visavie new website! Did you know that there are almost 2000 senior residence facilities in Quebec and Ontario? With so many to choose from, how do you know which one best suits your needs? Trapped between their children and their parents, this generation saw their family responsibilities grew in part because longer life expectancy. We call it the Sandwich generation.